Doubtless you have a website which is search engine optimised and well found in Google: most of your visitors will arrive at your website having found you through organic search for which you have not paid anything. You have probably spent money on additional marketing, e.g. Google AdWords, Visit Britain accreditation, independent internet advertising portals, designed to drive more visitors to your website. 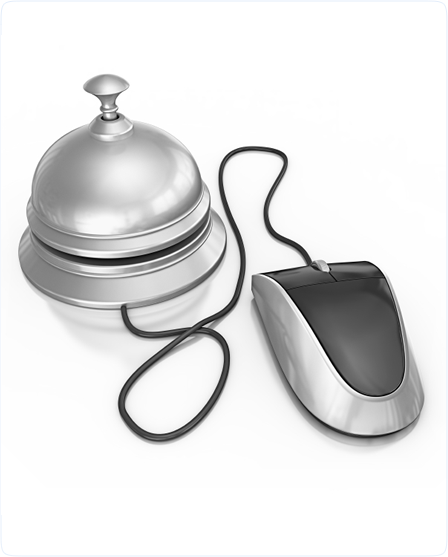 You now want to add an online booking capability to your website. So why choose an organisation to do this who will take commission, as much as 16% + VAT, on all the sales from your own marketing efforts? Choose THOR, designed by computer professionals with travel industry experience for maximum flexibility. It�s based on a very low fee per booking with no set up costs! Here is the full list of features. With most commission-based online booking systems your prospective customer is immediately diverted from your website to the online booking website. Who knows if this prospective customer actually ends up booking your accommodation or that of one of your rivals? With THOR, the entire process of booking is woven into your own website even to the point of payment if you wish. However, you can have this final part carried out on a secure https page of www.thor.org.uk if you prefer to give your customer an extra feeling of confidence and security � it's your call. Unlike leading commission-based systems you stay in total control of the reservation process, thereby eliminating the danger of double bookings or getting customers you do not want. Using THOR the initial reservation is provisional until you confirm it after taking advance payment, or not, as you prefer. Keep all your customer records in the easy-to-search THOR system complete with fields for biographical data, contact information, past bookings, notes, preferences and email correspondence. You�ll know exactly what they want or property left behind for the next time they book. The system is complete with import and export facility so you can transfer data to and from other computerised record systems. It will generate reports about your business (e.g. room occupancy). If the report does not exist as standard, we'll make it for you! There is no software for you to install on your computer: thus there is nothing to crash your computer. Of course we shall be continuing to improve and develop the system but you�ll not be confronted by constant downloads. Like Thor, the Norse God, THOR is all up in the clouds!! No need to keep on writing the same things to all your customers. THOR provides you with template emails for all situations which you adapt for your purposes. There are fields within the emails which capture the essential information about your customers. All you have to do is check the email and press the send button. The sent emails are stored on your computer either on your email client (e.g. Outlook, Outlook Express, Thunderbird etc) or on your email account in the clouds (e.g. Hotmail, Yahoo!. Gmail etc). If you use Gmail, Ymail or your own email is on IMAP you can have all your email correspondence automatically grouped by customer for easy reference. Throw away your bookings diary and ball point pen. You'll have your own room management system up in the clouds which you can optionally download onto your computer. It'll show each room and the status in terms of available, provisionally booked or firmly booked. The calendar is tabbed using the latest computing technology enabling you to flick through month-by-month. Credit/debit card by PayPal or your own card terminal; internet bank transfer by faster payment (instant transfer); cheque. Please go to this page for full details of the options. Bundled into the system is the THOR availability system: an advertisement on the national portal advertising website www.bedbreakfastavailability.co.uk and referrals from other members of the system will send you hundreds of potential customers to your website each year, potentially to use the THOR reservation system on your website. THOR reservations costs a maximum of 95p per booking. Save £00s, maybe £000s, per annum compared with leading booking systems.